Wow. Even if Eli Manning won three Super Bowls, I don’t think I could take him seriously if a picture like this came out. I think it’s just a matter of Brady being too famous for his own good and thinking he can do anything without looking like an idiot. It started with the hair. Now this. Pretty soon, he’s going to be wearing a pink tutu on the sidelines. I don’t see how anyone in Boston can defend this. 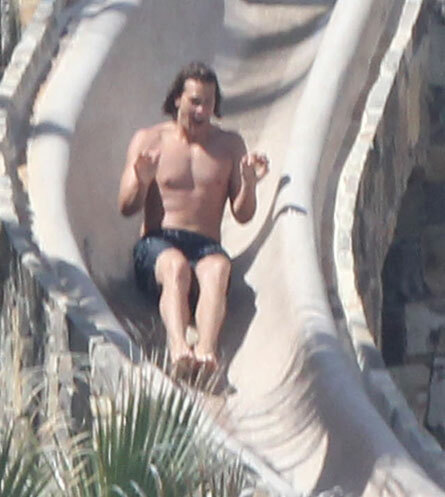 At least he was with Gisele, but I still think he’d have be better off going down the slide like a man and chilling with Rosie O’Donnell than looking like a 12-year-old girl with Gisele.